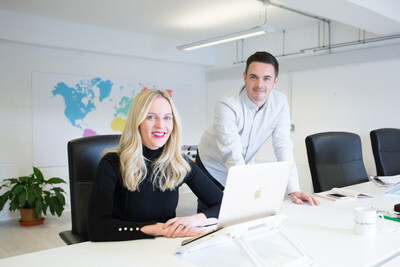 A slew of new contracts worth more than £8m has cemented Tag Digital’s reputation as a worldwide leader in online advertising for the events and publishing sectors. The Scottish company’s ambitious export strategy has resulted in blue chip organisations across the globe signing-up to £8m in long-term deals for its services. Recently, Ascential, Dubai World Trade Centre and UBM Americas, the largest event organiser in the United States, joined an already impressive list of clients. The fast-growing company is gathering awards at the same speed as contracts. After winning the regional award for Scotland and Ireland, Tag Digital has now been nominated for “International expansion of the year – for high growth businesses growing beyond the UK at pace” at the Barclays Entrepreneur Awards 2018. This November, Laura and Craig will find out whether they retain the “Best use of technology to market an event” at Event Tech Live. The company is also nominated in the “Best use of technology to build event attendance” category at the same ceremony. 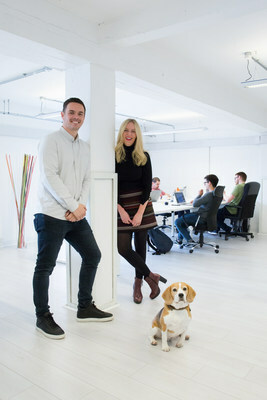 To find out more about the company, visit http://www.tagdigital.co.uk. Issued on behalf of Tag Digital by BIG Partnership.